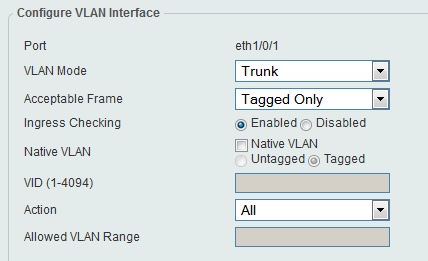 Click “Edit” and change the name of the VLAN in the VLAN Name column, once changed the name pique at the end of the line Apply. 5-16 ports of each unit, where users will connect using the Access mode. In ports 17-22 of each unit, where guests can connect using the Access mode. 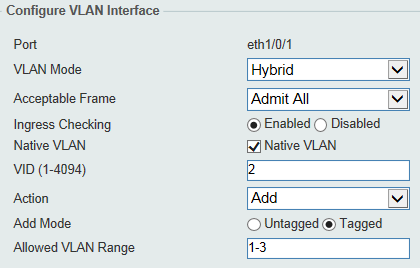 Enter in IPv4 interface, enter the corresponding VLAN ID in the box "VLAN Interface" and pique Apply, then pique Edit to configure the IP interface and pique Apply to confirm the settings. 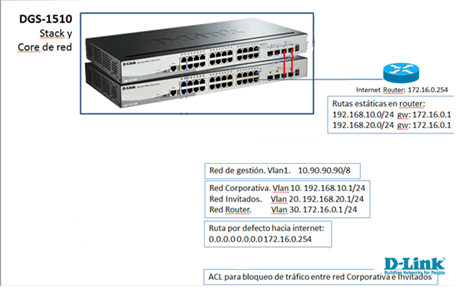 Step 6 - Create ACLs to block access from “Guest” network to the “Corporate” network. Remember that rules are executed sequentially.